When it comes to vacations, High Country Vacation Rentals are the local experts. Not only do we provide quality vacation rental accommodations at better value than many area hotels, we do more than hand you the keys. Our professional team encourage you to experience all of the fun and excitment of our local landscapes. From golfing at any of the Columbia Valley's golf courses to wakeboarding on Lake Windermere, soaking at Radium Hot Springs Pools or skiing the slopes at Kimberley Alpine Resort, we are here to help you make the most of your stay. 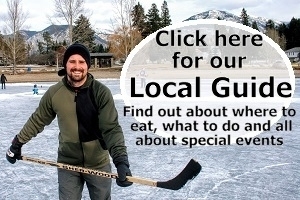 Our vacation packages pair great vacation rental accommodation rates with area activities such as skiing at Panorama Mountain Village, snowmobiling with Toby Creek Adventures and soaking at Radium Hot Springs mineral pools. 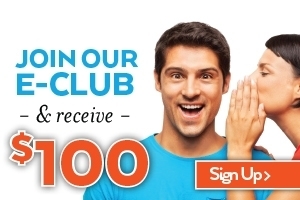 Join our E-Club and receive $100. Subscribe to receive our newsletter and you will receive $100 towards a future stay, plus you will get all of our special offers, travel tips, recommendations and the latest news in your email inbox. 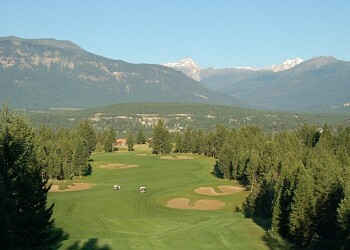 The Kootenays are such a sweet place to golf. Where else can you choose from 10 world class golf courses within an hour's drive? From Radium and Invermere to Panorama and Fairmont we have accommodations with the perfect amenities packaged with tee times at the best golf courses. 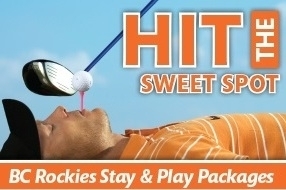 Save 10% - 20% with these packages and let us book your tee times! Call to Book. You will also receive great deals on vacation rental stays, seasonal package offerings, area travel tips and recommendations. We promise to keep your personal information safe and we won't flood your inbox.